We're motivated by hoping for a better world. Unfortunately a "Why us?" page on a web site has to have a degree of self-promotion. We're sorry. But hey, you're here reading this, so we'll try and be honest. This is kind of long, but we've put what we think are the most important things at the top, so read as far as you want to. We're incorporated as a company, but our reason for doing this is that we long for a better world. A world where people have access to the medicines they need. A world where millions of dollars of wastage due to expired medicines doesn't happen, especially in countries with small health budgets. We've been doing this for almost 20 years. In that time we've made a few mistakes, and we've learned a thing or two. We are aware of the wide range of factors that contribute to a successful health supply system. mSupply is now a large complex piece of software, and we try to ensure that it fits well with the needs of each situation. The diversity of cultures in our world is amazing. We understand that each culture has things that are valuable, and things that we could do better if we picked up another culture's practices. We try to approach the people we work with as partners in a task. We are committed to being respectful. Our own team is multi-cultural. 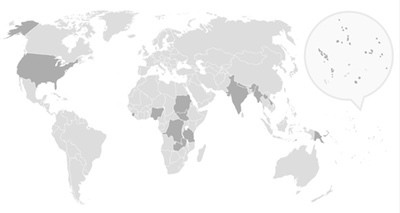 We've got offices in Nepal and New Zealand, and full time staff also in the UK and Australia. We know that when you choose a system it's a big investment, and you're wanting a system that will be around in 10 or 20 years. We are committed to being there for you as long as you need us. We also know that over the next 20 years there'll be huge changes in the way technology affects medicine distribution, and we're determined to be responsive - turning mSupply into the system it needs to be to cope with a world connected by handheld devices, a world of shared data, and a world where robustness and security become even more important. We often customise mSupply to work the way a particular client needs it to. We don't mind doing this, although it creates more work than giving everyone exactly the same program. (That said, we are careful to maintain a single code base, so users with customisations don't get left behind when we add new features). The internet is full of cats. 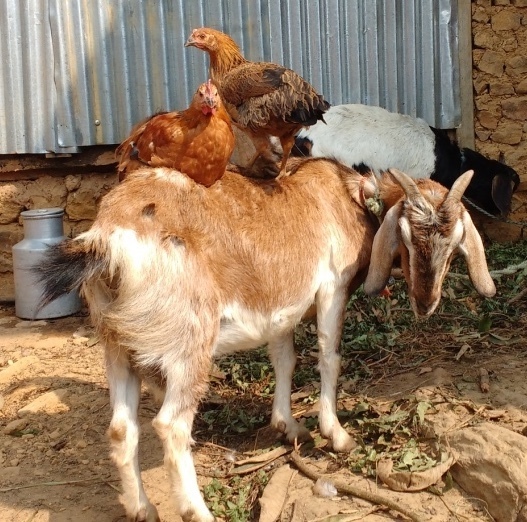 We dream of an internet where goats and chickens are free to take their rightful place..
Or is it Nice person first? And do we go around clockwise or anti-clockwise? We only want to see mSupply installed where it will make a real difference, so you don't get a sales pitch from us. "The pilot was a success"!